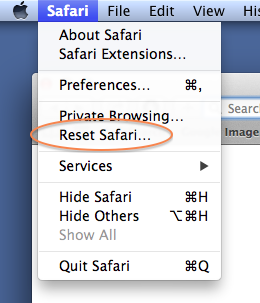 I used to love the "Reset Safari" menu item in Apple's web browser. It claimed to clear out your browsing history, cache, cookies, form data, and all with that easily accessed menu option. I used it a lot. I mean a lot. I would use it several times during each browsing session. The goal was to prevent tracking code on each site from biasing the information I see on their site based on what they think I looked at on a partner's site recently. Having just upraded to Sierra OS, I was sad to see that the new Safari (version 10.0.3) does not have that feature. Like others, I googled and found sites that seemed authoritative claiming that the new browser's "Clear History" button does the same thing. Well, I'm not one to trust in something as important as this. So I checked. BLUF (Botton Line Up Front): The new Safari does NOT clear out your browsing history. Or they can view their history with the CMD-Y keyboard command. 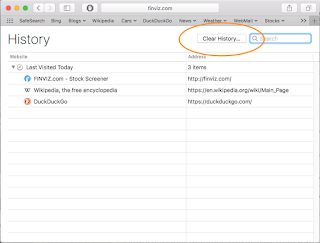 From there, the user can easily click on the button "Clear History..." (circled in orange). That button does exactly what the menu option does. The new Safari does clear your downloads history (~/Library/Safari/Downloads.plist). I don't know if it clears form data because I didn't test that. My form data file has a zero size (~/Library/Safari/Form Values). Safari does clear out your last session data (~/Library/Safari/LastSession.plist). 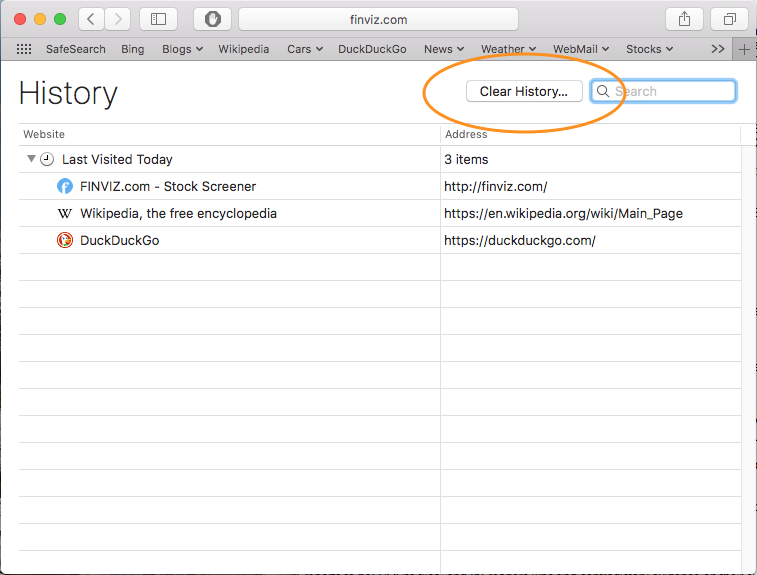 Safari does clear out your cache (~/Library/Caches/com.apple.Safari/WebKitCache/Version 9/Blobs and /Records). Safari does clear out the local storage (~/Library/Safari/LocalStorage/*). 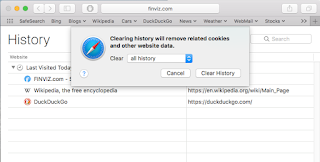 Safari does clear out your cookies (~/Library/Cookies/Cookies.binarycookies). 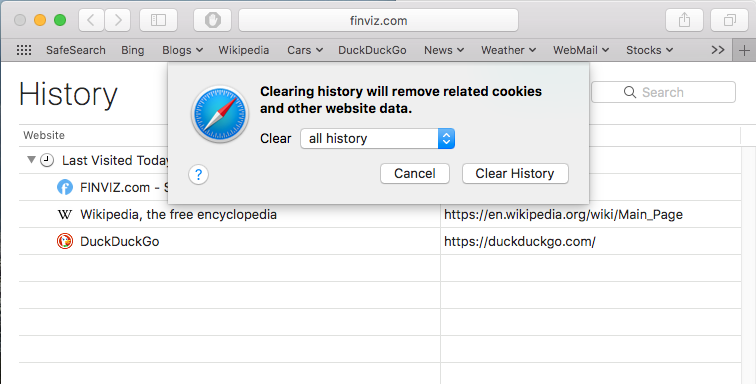 However, Safari does NOT clear out your browsing history (~/Library/Safari/History.db and /History.db-shm and /History.db-wal). The ugliest part of this is ... clearing out the history is EXACTLY what the button is supposed to do. That's the only advertised functionality. And it actually doesn't do that. Nice job Apple. ps: here is where I wait for (a) readers who don't know how to inspect the contents of (what the system [aka file command] reports to be) SQLite files, and (b) readers who find contradictory evidence on their systems. Thank you for the solution. I was facing this prob since 13 days thanks a lot, buddy. Admiring the time and energy you put into your site and in depth information you present.